A much older votive offering than yesterday's tamata. This representation of childbirth (with midwife?) was found in the cave of Eileithyia at Inatos. The cave was used as a place of worship from the Old Palace (1900-1700 BC) to the Roman period (4th century AD). 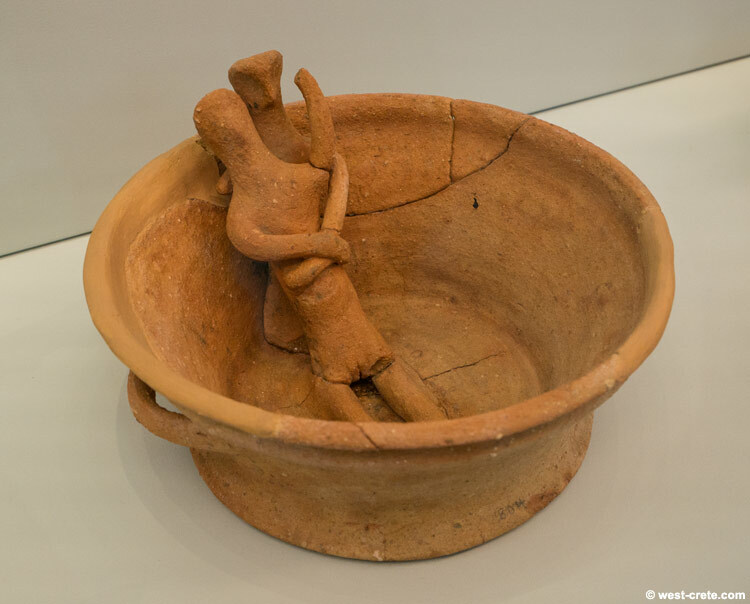 Its peak is dated from the late 11th to the early 6th century BC when Eleithyia, protectress of childbirth, was worshiped and adorants invoked her favour by offering figurines of couple and pregant women, representations of childbirth and nursing mothers.